Insider Threats is a major cause of concern for various organisations today. With a robust IT Infrastructure, organisations do fairly well to defend against any external intrusions. However, employees who have access to data from within the organisation remains a threat to confidential and critical data to business. With Advanced Analytics & monitoring, it is possible to detect any anomaly and take appropriate measures in time. 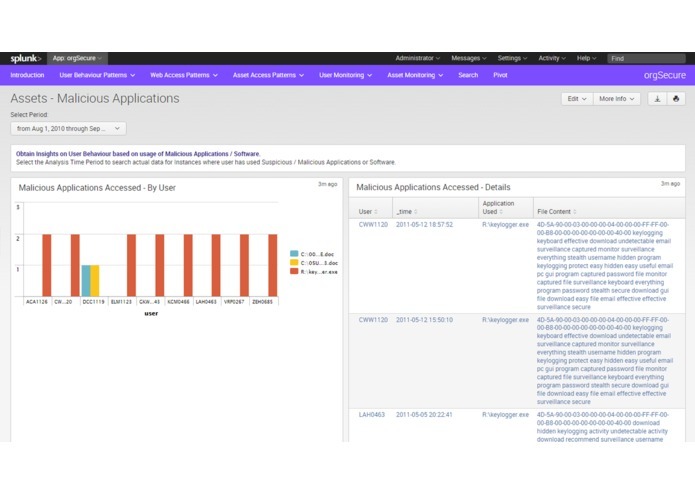 orgSecure is an Splunk based Analytics Solution to detect Insider Threats and monitor User Activities. 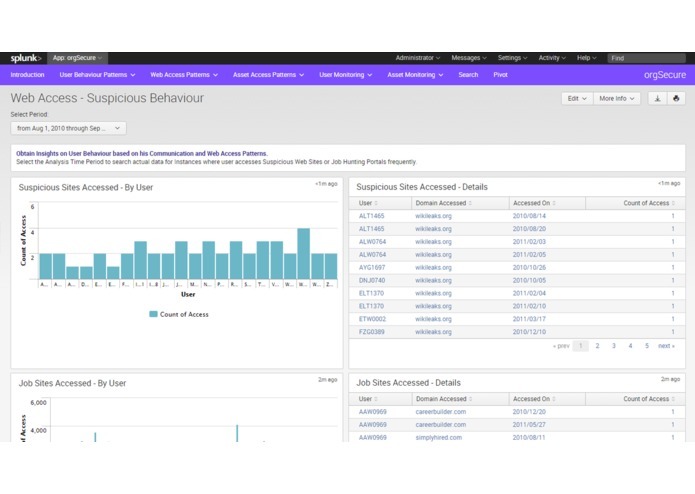 Key to Insider Threat Detection is Active Monitoring and Machine Intelligence to detect anomal user behaviour. This can be achieved by creating a Baseline envelop which defines the expected band of 'normal behaviour' of the user. This could be based on either historical data of user or the data of his colleagues of his department. Any consecutive deviation needs to be investigated. It may be possible that a user may be excessively using Job portals if he is from HR but if envelop is configured correctly, it will not be detected as a abnormal behaviour since it is 'normal' for him. 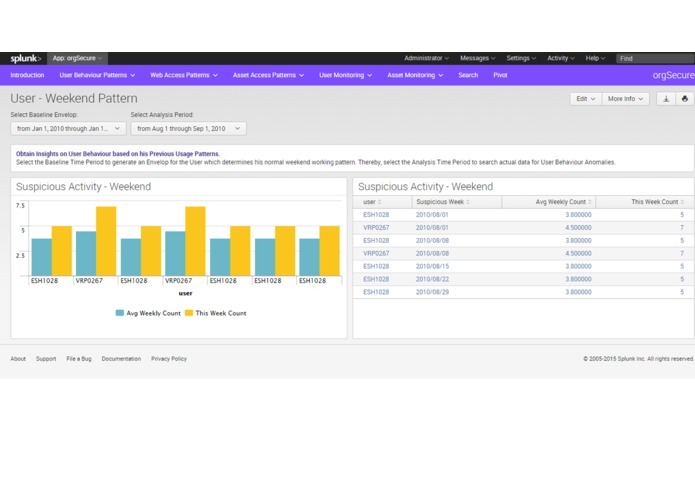 In order to achieve this, orgSecure uses complex statistical techniques to create baseline envelops for users which determines their normal usage patterns. Any deviation from the envelops for consecutive periods are reported and should be looked into by System Admins. 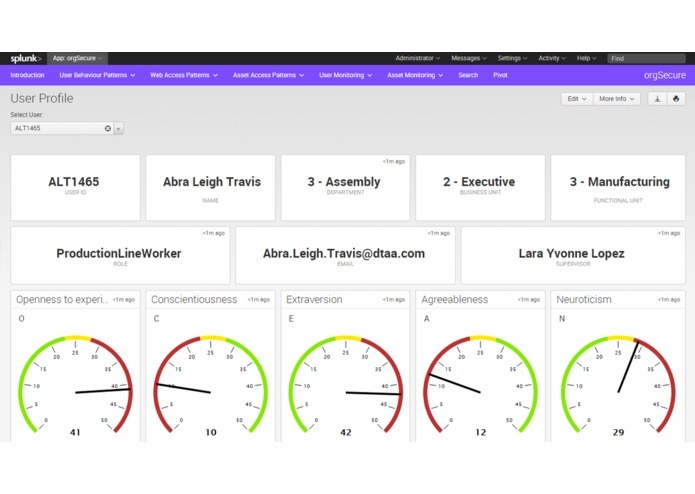 Also, comprehensive dashboards and visualizations are provided to actively monitor user and asset activities. 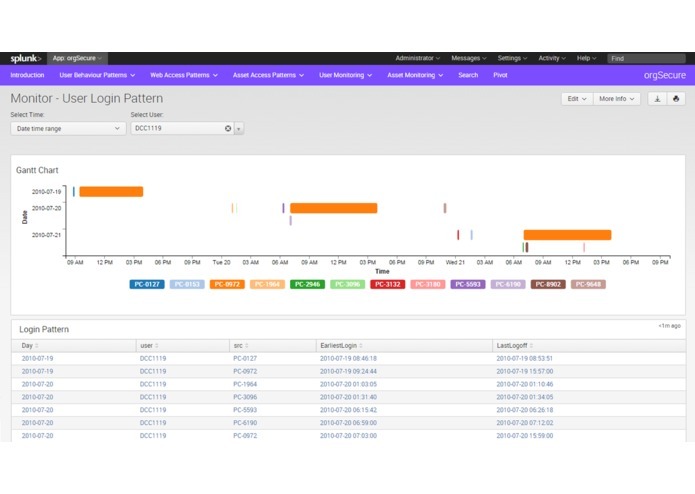 Detect Anomalies through User Login/Logoff patterns, Out of Office Hours & Weekend usage. Detect Abnormal Asset usage of employees like irregular / suspicious PC access, malicious softwares and abnormal Removable Media usage. Getting the correct Data Set to analyse. CERT DARPA dataset was huge as compared to 10 GB limit of the challenge. 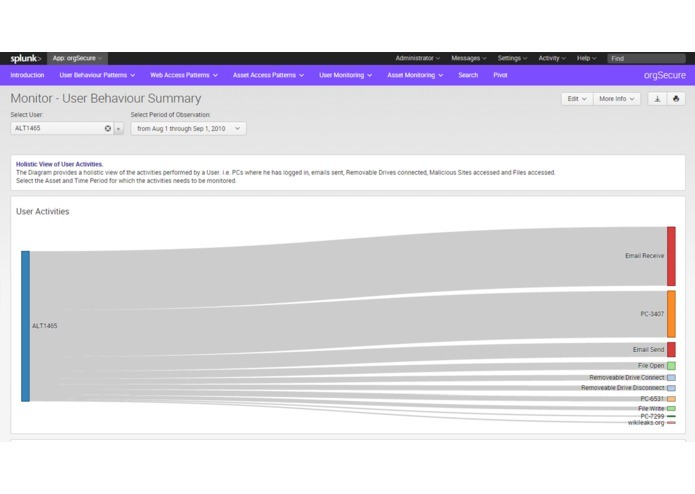 Hence a subset of the data of 200 users activities were analysed. Data Sets used: subset of CERT - DARPA Data (of 200 users) - consists of User Information, Psychometric Test Results, Login, Logoff, Email, Web Activity, Files and Removable Media Activity. Build alerts module which can send alerts to administrators. 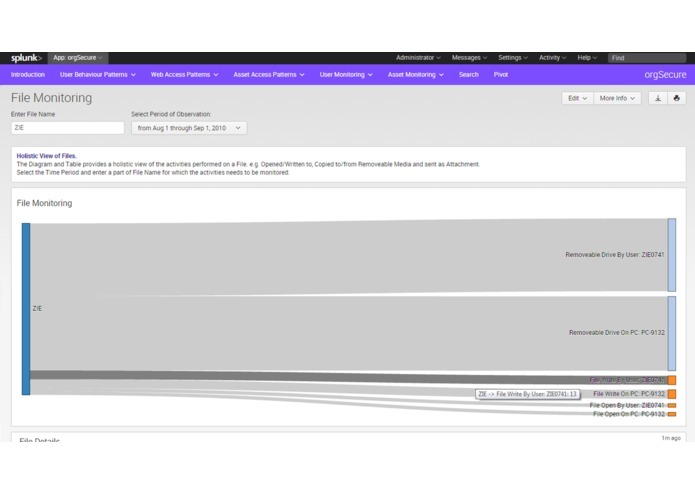 Also, build predictive analytical model to detect insider threats a bit well in advance.